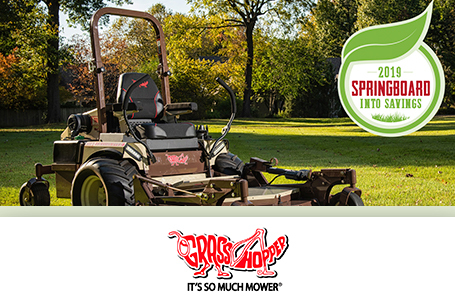 2017 Grasshopper 727T EFI 52"
Accepts Models 8HT, 8F, 12HT and 12F fabric collectors and Models 15B, 16FM or 25 metal hopper PowerVac™ collection systems. Deck Construction: (Robotic-welded steel) Tubular 2.25 in. x 4 in. boxed members with 0.25 in. gussets. Formed double thickness hardened steel (0.269 in. 7.6% thicker than 0.25 in. (6.35 mm)) truss spindle plane and (3) Sentry™ spindles and a triple-strength upper deck, 1/2 inch thick in stress zones. 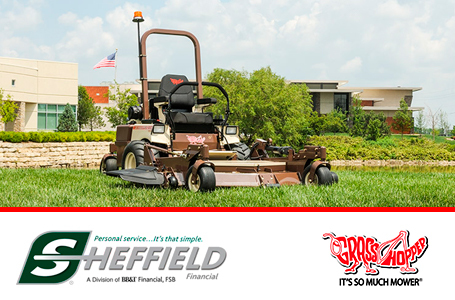 Geometrically engineered design with 7 gauge skirts to withstand the brunt of commercial mowing. Filtration: Integrated, replaceable, high-efficiency, fine-particle filter / Grasshopper CoolTemp Hydro-Max fluid withstands high and low temperature extremes for 1,000 hour change intervals. 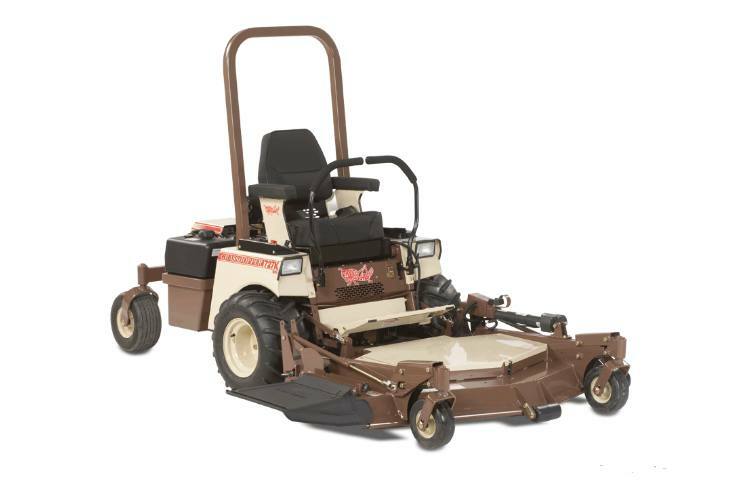 Instruments: (Console Mounted) Low engine oil pressure and parking brake indicator lights, work light and ignition switches, choke and push/pull PTO switch. Spindles: Sentry Spindle System, 2.5 cm (approx. 1 in.) O.D. shaft. Double bearings greasable from top of deck. Spindle head designed to eliminate fiber wrap. Spindle cones shield housing and lower bearings from fiber wrap and dirt ingestion. ; Housings - 8 in. (20.3 cm)-diameter housing. Machined aluminum housing on 52- and 61-inch deck. Cast iron on 72-inch deck.